Why King's Match-3 Games Are So Popular? Article - Free Casual Games! Why King's Match-3 Games Are So Popular? Rate this Article King is a game company known for its widely popular match-3 games, and that's not without reason. Here are some ways that King is successful in creating match-3 games that gain massive players. If you’ve ever played Candy Crush Saga, then you may have noticed or even played other games made by King. Specializing on match-3 games, King has been pushing the boundaries and setting a new standard for making a simple game become irresistible. 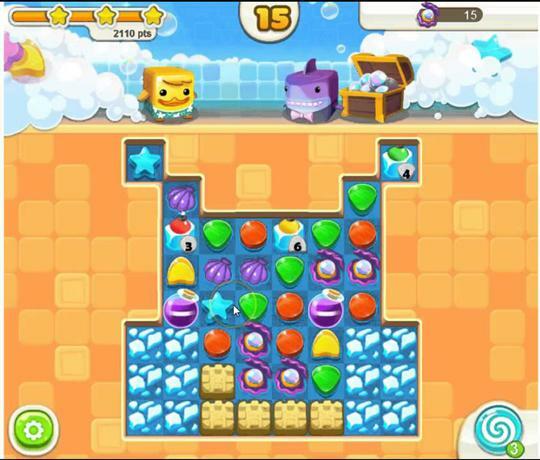 While Candy Crush Saga has very similar versions sporting other themes, such as Candy Crush Soda Saga and Candy Crush Jelly Saga, the leading game developer tries to break free from the stereotype it has created for itself. Players who might have grown too overwhelmed with the Saga series might want to take a break from games who look and feel all too similar. King has innovated and reinvented some of its match-3 offerings, to cater to those who want something new and different. The main thing they changed in some of their games, apart from graphic style, is the way you match three or more objects. Instead of the usual swapping motion, King has formulated new actions to take to achieve the same matching goals. In Blossom Blast Saga, flowers are linked together in whichever direction to bloom them and take them off the board. The longer the link, the bigger the bloom. In Scrubby Dubby Saga, you need to slide and align the same kinds of soap to make a match and clear the board. The more soaps you match, the bubblier the effect. King’s dedication to making the best match-3 games can be seen in the way it rewards players for matching five or more objects on a board. Do this and you get a special object that has the ability to blast as many objects off the board. We’ve seen this done from Candy Crush Saga, with its Striped Candy and Candy Bomb, to the new Fish Candy in Candy Crush Jelly Saga. There’s also the Super Bloom in Blossom Blast Saga, where linking six or more flowers will trigger a Super Bloom, creating a blooming chain reaction and instantly clearing the board. This will always be a challenge for players to find the best match to create a monster blast in just a few moves. The problem with match-3 games that has a plotline is that sometimes, the story ends when the game begins. With King, a game’s story is seen all throughout. In Diamond Digger Saga, you follow a digger underground to blast diamonds with bombs while freeing fireflies and other insects. As diamonds are cleared, they move even deeper underground into a new matching board where more matching fun continues. In Pet Rescue Saga, you need to clear blocks and bring pets to the bottom to rescue them. The higher the level, the more pets you need to save. Now, isn’t that a great way to commit to a story? If you’ve played Farm Heroes Saga, you probably spent hours cursing Rancid the raccoon under your breath. In Candy Crush Jelly Saga, two antagonists by the name of Jelly Queen and Cupcake Carl will rain on your jelly-spreading parade. If you've played Diamond Digger Saga, you won't miss Diggy, the tireless diamond digger. There are more characters to love or hate in other King games, and they’re integral to the story behind the game. It also helps that their names as well as their appearance are exceptionally hard to forget. Lives are precious in King games, as they’re limited and require some time to get refilled unless you pay real money. Fortunately, King provides useful and powerful boosters in almost all of its match-3 games. Whether it’s a shovel to clear pots, a hammer to take off a single candy or an entire row, or a bomb to blast a wide radius of diamonds, they will always be there to save the day. While they’re also limited, they can be essential to completing a level with less frustration (and more satisfaction). Have you ever noticed that King’s candies look good enough to eat? Or that the blocks in Pet Rescue Saga are not stacked in the same direction? Or that satisfying ‘clink’ when objects are matched? These and many more are minute details, but we notice it nonetheless. It’s the signature that King puts in their games that make them unforgettable. Look up reviews for King games and you’ll find comments like “This is a cute game” or “I love watching the cute little piggies”. Those details, ladies and gents, are there for a reason. Facebook’s sharing features are very much present in King games, and it’s one of the many games that first added this to let players share their progress and send or receive lives. Play a King match-3 game and connect it to your Facebook and you’re sure to find a long list of friends playing the same game. There’s a huge community of avid King gamers, and Facebook made it possible. It helps friends find each other in the game and go through levels without having to wait or pay for more lives. The Saga series from King receives regular updates for new levels and episodes several times in a month. Updates keep the game interesting and it’s a way for King to show the cool new things their developers have come up with. This is great considering that King match-3 games are free to play. King announces its game updates via each game’s Facebook page. Even when you’ve completed all levels, there will be updates to make the game worthy of playing again. 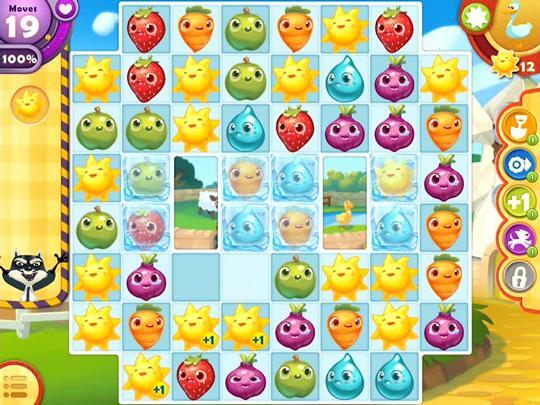 Whether you love candy, veggies or pets, there’s a King match-3 game for you. It’s easy to say that all match-3 games are the same, but if you’ve ever played lots of match-3, you know what to expect from one made by the King. While they might fall short in some aspects, such as limited lives and boosters, they make up for it with brilliant graphics, clever puns, innovative game mechanics and so much more. For this alone, King is one of the few developers that has mastered the art of creating match-3 games that get people hooked.